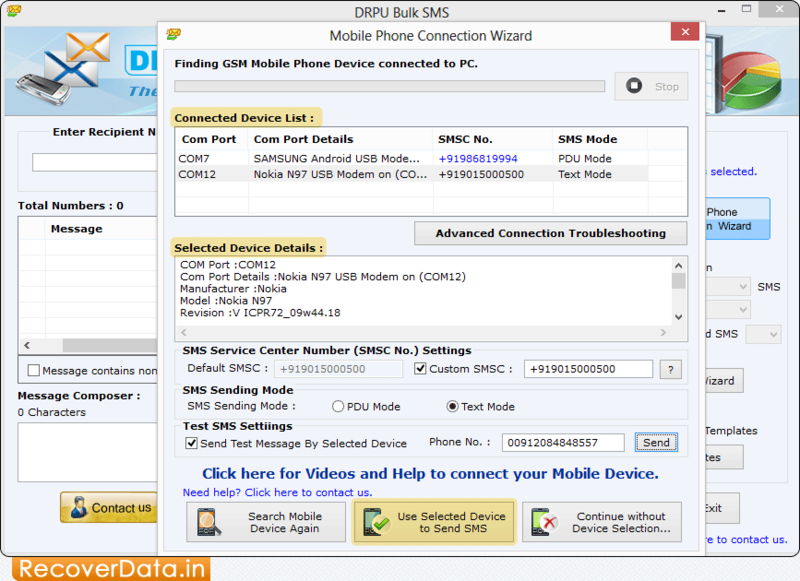 Click on 'Mobile Phone Connection Wizard' to start connection process. Select Com Port from Connected Device List and view selected device details in "Selected Device Details" box. 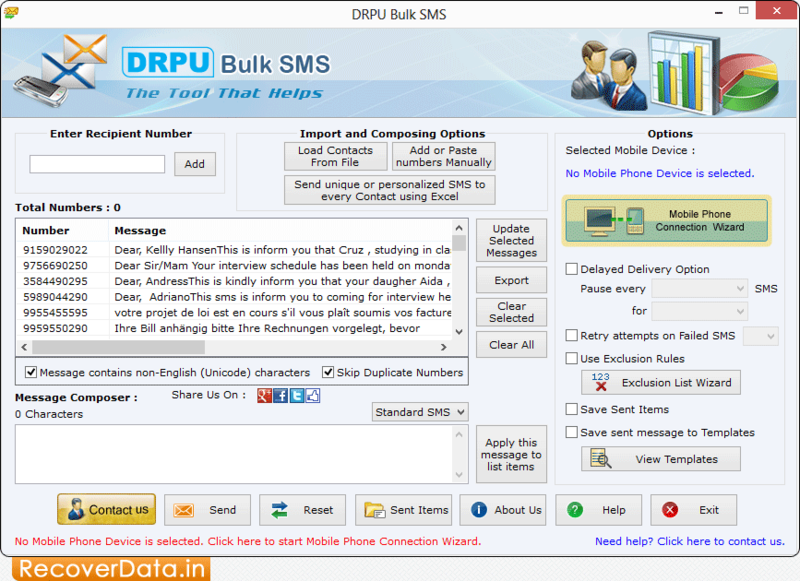 Now click "Use Selected Device to send SMS". Choose Import and Composing Options. 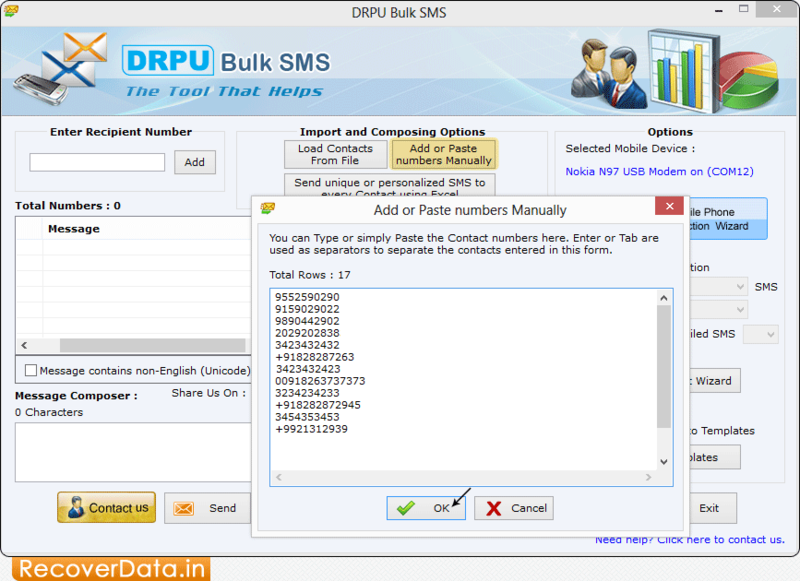 If you want to type and paste multiple contact numbers, then click 'Add or Paste numbers manually' button. Select options from right panel (Delayed Delivery option, Use Exclusion Rules, Save Sent Items, etc) and then click 'Send' button to send messages. 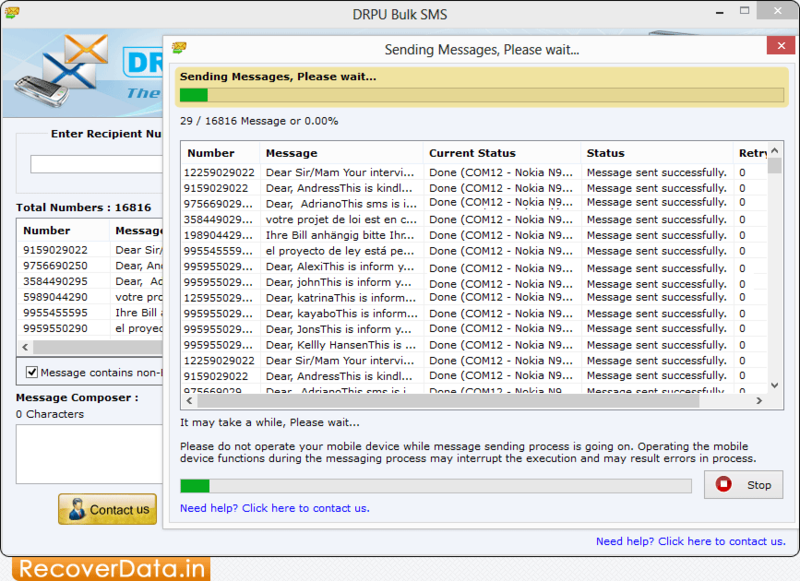 Progress bar to view current status of SMS sending process.